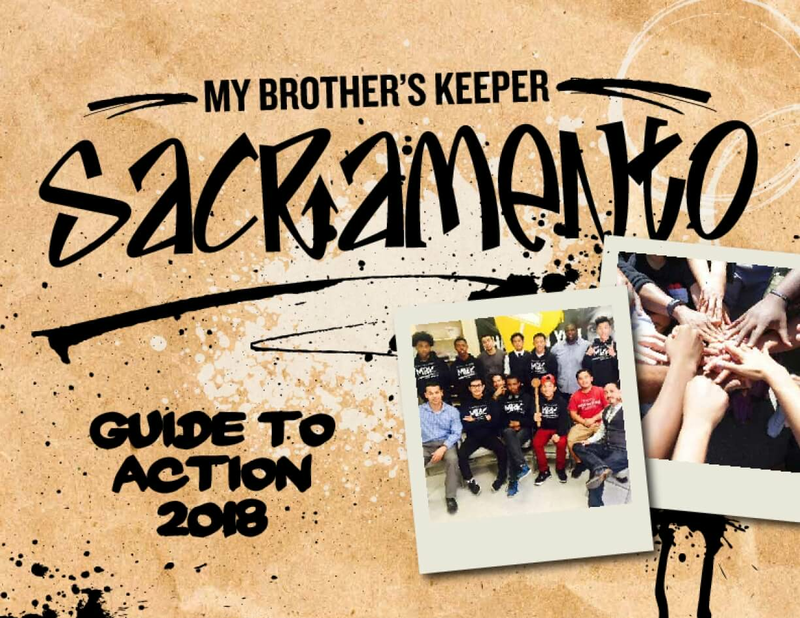 Renewing Our Call to Action responds to the October 2015 Youth Perspective Report completed by the City of Columbus to support their expanding work in the My Brother's Keeper Initiative. As a part of that report's recommendations, the City of Columbus seeks to work with the community to collaboratively set short and long-term goals with measurable targets, or common benchmarks of success. In an effort to bring the community together around youth initiatives, the City of Columbus commissioned the Kirwan Institute to develop a report to learn more about the local landscape of youth vulnerability, and to get a better understanding of existing assets at the neighborhood level. 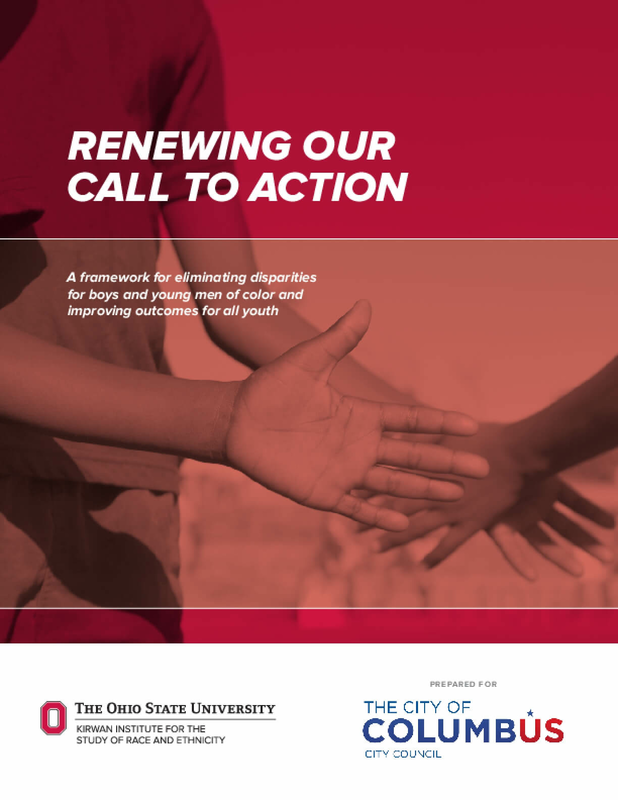 This report provides a portrait of youth vulnerability and resources across Columbus, and outlines how we can work together to raise the bar and close achievement gaps in order to ensure that all youth in Columbus have the opportunity to succeed. Renewing Our Call to Action is the first step of a recommitment to building a community that provides opportunity for all. 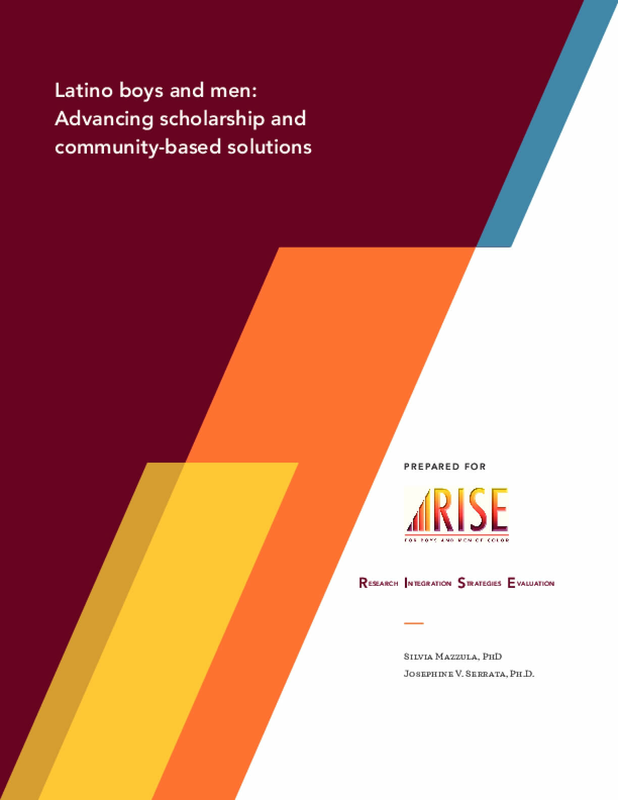 The authors address systemic limitations on understanding the state of the field by using an interdisciplinary and comprehensive approach to identify community-based solutions with Latino men and boys that may not be included in academic literature. They review mainstream academic knowledge, as well as knowledge from community-based initiatives with Latino boys and men in the area of healthy masculinity. The authors draw upon Chandler's Life Course Framework for Improving the Lives of Boys and Men of Color to focus on health outcomes. They argue that investing in health and educational outcomes could yield improved health behaviors and access to healthcare, and post positive returns in cognitive and socioemotional skills for boys of color. The authors aim to identify opportunities for interdisciplinary collaboration between educators and health care providers that can improve the overall life course for boys and men of color. 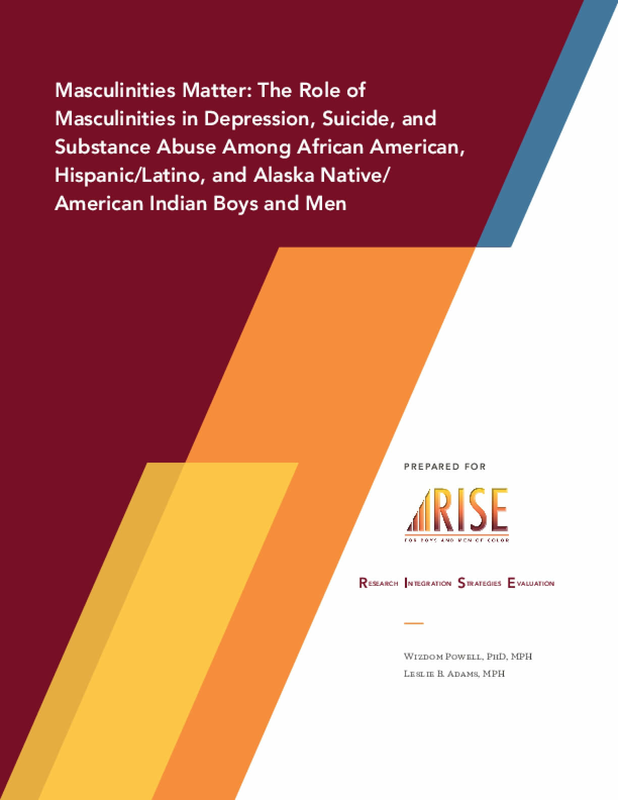 The authors focus on African American, Hispanic/Latino, and Native American boys and men of color who face some of the most compelling health disparities and inequities in our nation. Given the significant amount of male mortality attributable to substance abuse, suicide, or depression, the authors address these three behavioral health outcomes. This focus is further supported by evidence documenting the notable amount of comorbidity between these behavioral health outcomes and other chronic diseases (e.g., cardiovascular disease, diabetes, and cancer) linked to the disproportionate health disadvantage shouldered by BMOC.